Contact your corporate admin if you're unable to create a personal group. 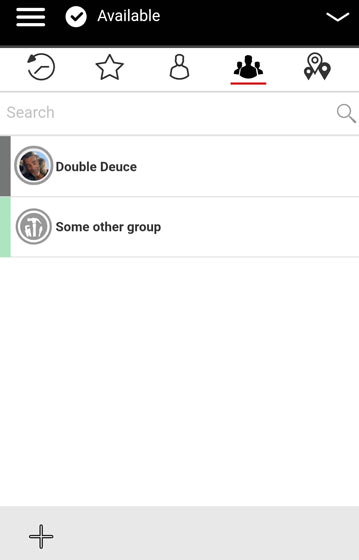 From the Groups tab, tap and hold the appropriate group then tap Delete group. From the Confirm prompt, tap Ok.